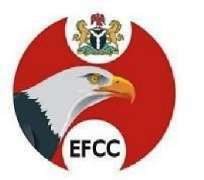 The Economic and Financial Crimes Commission, EFCC, on Tuesday October 13, 2009 arraigned, Alex Nkenchor, a former manager with Union Nigeria Plc along with two others for allegedly defrauding the bank to the tune of N860million. They were arraigned on a 10count charge bordering on issuance of dud cheques and stealing before Justice M. O. Obadina of the Lagos State High Court, Ikeja. Others arraigned with Nkenchor are his brother in-law, Ebi Odeigah, and GMT Securities and Assets Nigeria Limited. The accused were alleged to have at different times in July 2008 defrauded Union Bank Nigeria Plc of the said amount through dud cheques issued by Odeigah and GMT Securities and Assets Nigeria Limited. The fraud was perpetrated at the Golden Plaza, Falomo, Branch of Union Bank where Nkenchor was the branch manager. He was alleged to have given value to three uncleared Zenith Bank cheques totaling N860m raised in favour of Union Bank by Odeigah, managing director of GMT Securities and Assets Nigeria Limited. On each occasion, once the cheques are presented, Nkencho who is married to the Odeigah's sister will raise a bankers' draft in favour of GMT Securities and Assets Nigeria Limited even when he knew that there were no sufficient funds in their account with the bank. Count one of the charge reads; “Ebi Odeigah and GMT Securities and Assets Nigeria Limited on or about 31st July, 2008 at Lagos within the Ikeja Judicial Division with intent to defraud, knowingly and fraudulently issued a Zenith Bank of Nigeria Plc cheque No. 000004184 dated 31st July, 2008 for the sum of four hundred million naira (400,000,000.00) payable to Union Bank of Nigeria Plc, which when presented for payment was dishonoured on the grounds that no sufficient funds were standing to the credit of the account on which the cheque was drawn”. The offence is punishable under section1 (1) of the Dishonoured Cheques (offences) Act, Cap. D11 Laws of the Federation of Nigeria, 2004. When the case came up for arraignment, all the accused persons however pleaded not guilty to the charges and they were ordered to be remanded in Ikoyi Prison. Justice Obadina thereafter adjourned proceedings to October 20, 2009, when the written bail application of the accused persons would be considered.